The View Form button displays the form associated with the currently selected unit. The form is displayed in the Form Designer. As with the View Unit button, the View Form button will be disabled if no form exists for the selected unit. 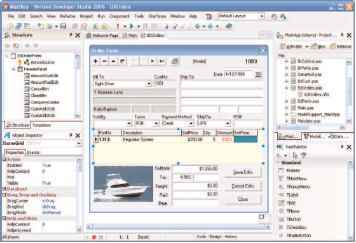 The Project Manager provides shortcuts for viewing a unit's source file or form. To view a unit's source file, double-click on the unit's filename (in the File column). To view a form, double-click on the form name in the Form column. Double-clicking on units that do not have a source file has no effect.